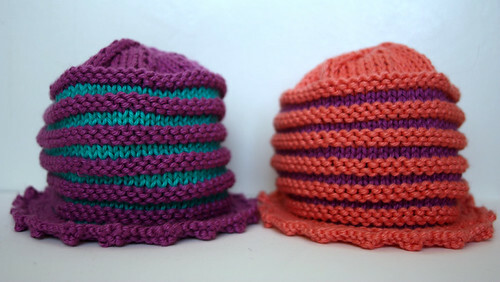 baby hats. I think this is my favorite design so far. I'd love to have Rocky model one for you, but since I do sell them, I figure it's not so good to get them covered in cat hair. Don't want to make any babies sneeze!